Great oral health starts with taking care of your teeth and gums with a good cleaning routine, but it doesn’t just end there! What you eat on a daily basis can have a profound effect on your oral health. The right foods keep your teeth strong and your gums healthy, helping to prevent bad breath, and serious dental problems like gum disease. The wrong foods could result in poor tooth strength and difficulties fighting oral bacteria which can lead to tooth decay. Cheddar, gorgonzola, parmesan, edam… if you love indulging in a spot of cheese, then you’re in luck! Cheese is one of the best foods that you can eat for great oral health. 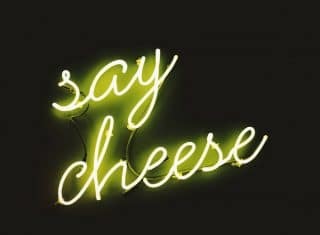 Not only is the calcium in cheese great for keeping your teeth and bone healthy, but cheese is actually thought to increase and balance the pH levels in your mouth. With the protein in cheese helping to balance the pH level, there’s less risk of acid causing oral problems, which can help to prevent tooth decay in the long run. Fruit is a brilliant alternative to processed sweet foods, and there are few fruits that are better for your teeth and gums than apples. Naturally sweet, apples shouldn’t be overindulged in, but an apple a day can at least contribute to keeping the dentist away! The chewing involved in eating an apple can help to cleanse your mouth of bacteria, which is certainly beneficial for avoiding tooth problems, like decay. 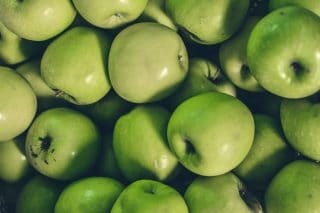 The unique texture of an apple also provides stimulation to the gums, and the high vitamin content contributes to healthier gums. If apples are not at the top of your list of favorite foods, then other hard foods, like carrots or celery can have a similar result. Apples, carrots, and celery can all act as a natural toothbrush, helping to keep the mouth clean of food debris and teeth free of plaque. Onions may not be as delicious of a snack as apples or cheese, but your teeth and gums will thank you for including a little raw onion in your diet. 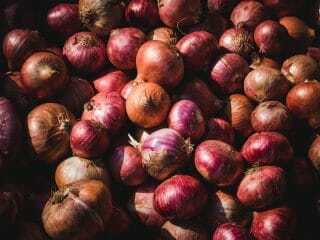 One of the main benefits of a healthy dose of onion is better overall oral health; this is thanks to the sulfur compounds in onions which can kill harmful bacteria in the mouth. By adding onions to your diet, you can better manage oral bacteria, which helps to keep your gums healthy. With the great microbial properties of onions, you can lower the risk of developing gum disease and prevent cavities. There are few ‘top food’ lists that you won’t find leafy greens on, and for good reason. 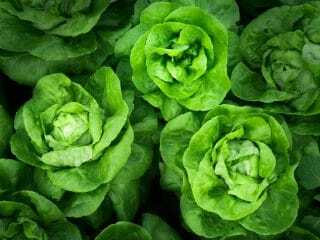 Leafy greens, like spinach, cabbage and broccoli are packed full of nutrients; this is particularly the case with dark green vegetables which often contain high quantities of calcium (excellent for strong teeth), iron (iron deficiency can increase the risk of gum disease), and fiber (reduces the risk of tooth loss and bone loss). Leafy greens can also help to stimulate saliva production which keeps your mouth free of food debris and plaque. By broadening your diet with these top four oral-friendly foods, you’ll soon be on your way to enjoying healthier teeth and gums! 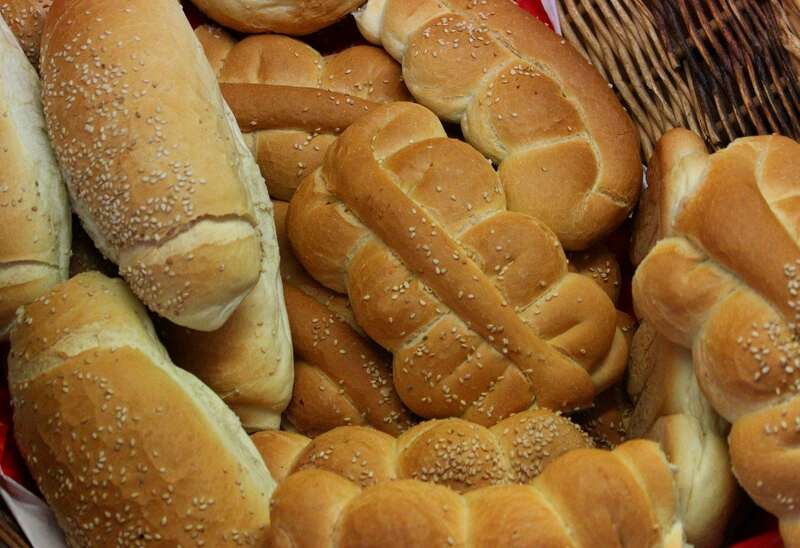 The first things that you associate bread with might not be tooth decay, gum disease or tooth loss, but they’re a very real risk if you consume bread too often without brushing your teeth immediately after. Bread is very high in starch, which once in the mouth and exposed to saliva, slowly breaks down to form sugar. The sugar will then start to feed bacteria in the mouth, which can lead to acid production; this in turn will start to break down tooth enamel. As bread easily gets stuck between your teeth, the impact it has on your dental health can cause major problems in the long term, like gum disease. 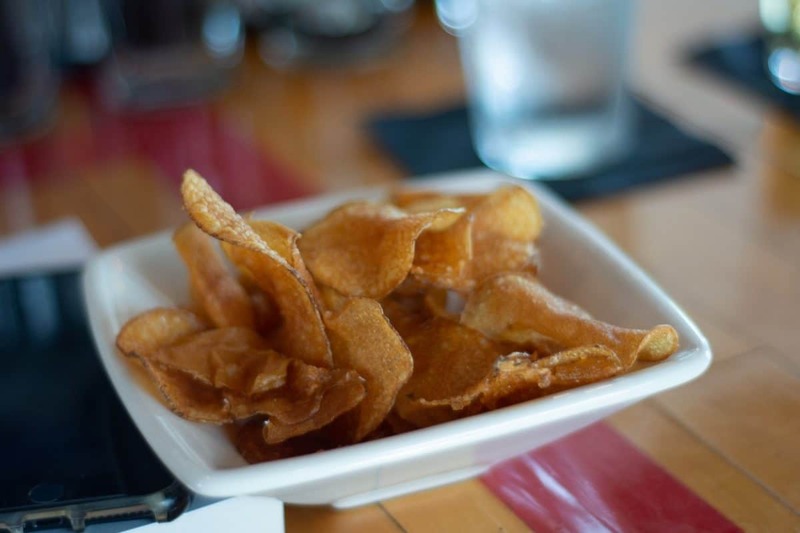 Potato chips are another carbohydrate that can contribute to dental problems. The processed snack isn’t overly healthy to begin with, but the tendency of small pieces of chips to get stuck between your teeth make them particularly unhealthy for your mouth. Having food stuck between your teeth can cause bad breath, but more worryingly, it also attacks your teeth. The longer the chips spend in your mouth, the more damage they’ll do to your teeth and gums. Like bread, there’s also the risk of the starch in potato chips feeding the plaque on your teeth! Adding ice to a cool beverage on a hot day isn’t going to do much damage to your oral health, but if you start biting down on the ice, then your teeth could be at risk. Very hard foods, like ice, can do serious damage to the enamel on your teeth. The short-term issue of enamel loss is increased susceptibility to tooth damage; the long-term result of chewing ice can be cracked and chipped teeth which will require an emergency trip to a dentist in Gurnee IL. It probably won’t come as much of a surprise that citrus fruits have made the top worst foods list. The high acid content of fruits like lemons, grapefruits, and limes can cause serious damage to your teeth. 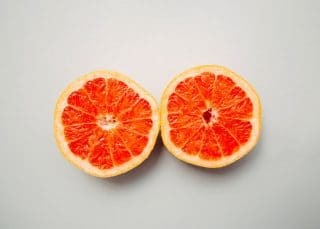 In the short term, citrus fruits can aggravate mouth sores and in the long term they can slowly erode away the enamel on your teeth, which can lead to severe tooth decay. However, these fruits can also do a lot of good for your oral health. The high vitamin C content of fruits like oranges and pineapples mean that they come with a burst of anti-inflammatory properties. 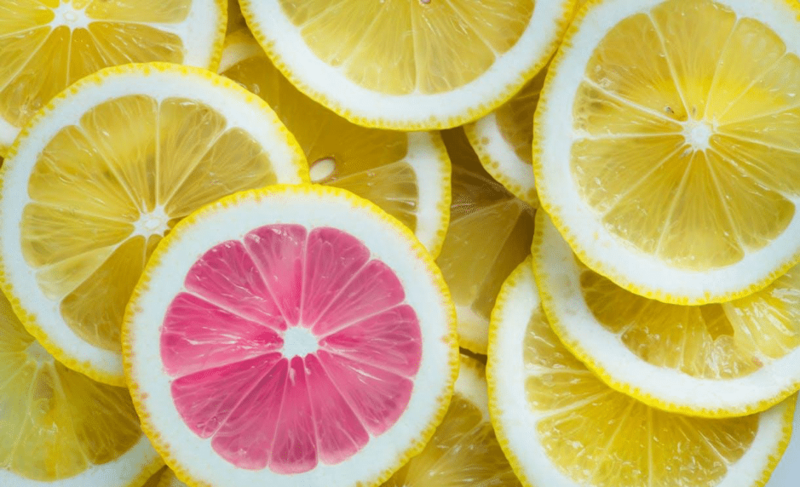 To manage the benefits of citrus fruits with the potential problems, it’s important to maintain other great oral health habits, like attending regular oral examinations & dental checkups. If you’re worried about the impact of your diet on the health of your teeth, then attending regular dental exams in Gurnee IL, is the answer. The Beautiful Smiles Dental Center provides a range of preventative and restorative treatments that can help you to keep your teeth and gums healthy and looking and feeling great. 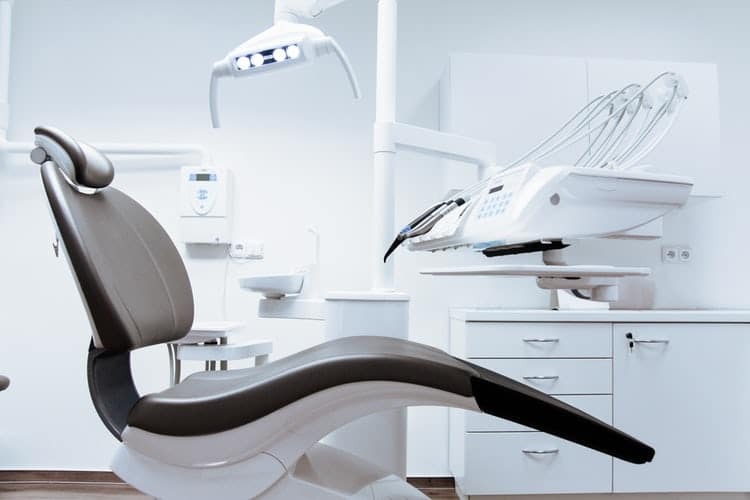 When you visit a Beautiful Smiles dentist in Gurnee, you can arrange for oral examinations & dental checkups with one of our resident dental experts or speak to a cosmetic dentist in Park City, IL. We can diagnose any problems that you may be having with your oral health, spot potential problems early to prevent serious issues, and advise you on the best ways to keep your teeth and gums healthy and problem-free. 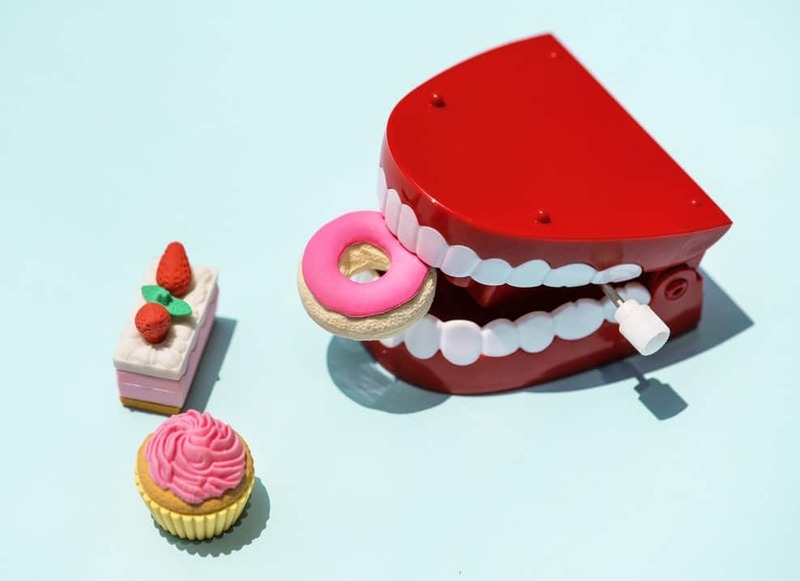 By filling your diet with great oral-friendly foods, avoiding the worst foods and staying on top of your oral health with regular trips to your local dentist in Gurnee IL, you can keep your teeth and gums looking great on the outside and healthy on the inside! Restorative dental treatments are the answer to overcoming many common dental problems. These treatments can fix issues such as discolored, misaligned, or chipped teeth. Of the range of restorative dental treatments in Park City, Illinois available, dental veneers & cosmetic crowns are amongst the most popular. Routine Dental Exams Should Be A Part of Your New Year’s Resolutions – Here is Why! New Year, new you! It’s time to finally take control of exactly what you want to achieve and make those positive changes that will turn 2019 into the best year yet – and why not, you’re worth it!From boosting your confidence to helping you to take the next step up in your career, a routine visit to Beautiful Smiles Dental Center in Gurnee is THE New Year’s resolution that’s going to give you the confidence to live your life exactly how you want to. If you’re partial to a spot of over-indulgence at Halloween (and let’s face it, who isn’t? ), then you may be worried about just what all that candy is going to do to your teeth. Halloween is a time when candy and treats are out in force, but a sweet tooth shouldn’t stop you keeping your mouth and teeth healthy! Bad breath is a very common problem, yet it can destroy your confidence and make you feel very self-conscious, even if the problem is not your fault. 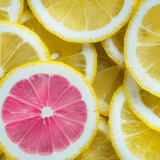 The embarrassing problem certainly doesn’t give off the best first impression, which is why it’s so important to give you back your confidence and tackle the problem head-on. As we age, we often interpret our body’s aches and pains as unavoidable consequences of getting older — however, if you detect cavity symptoms, there is still plenty you can do for your health. According to the National Institutes of Health, cavities are the second-most prevalent health problem in the United States with over 3 million cases each year, being beaten out only by the common cold. They are often painful, worsen over time, and also quite preventable and treatable if you catch these cavity symptoms early in their development. We may lose some things over time, but your oral health is not something you need to sacrifice. Cavities, also called tooth decay or caries, are permanently damaged areas in the hard surface of your teeth that develop over time into tiny openings or holes. As your tooth enamel softens due to decay from the acids that are created when plaque bacteria break down sugars in your mouth, your tooth is left susceptible to further damage, which is when cavities form. If left untreated, these plaque acids can continue to eat away at the next layer of the tooth, the dentin, and cause a root cavity that is both more painful and more complicated to fix. As the Mayo Clinic observes, cavities may be caused by a number of factors, but the development of tooth decay follows the same process regardless of the cause. First, the consumption of excess sugars and starches, which, if not cleaned from the teeth, permit bacteria to feed on them to create dental plaque. This plaque then hardens on the teeth and begins to remove minerals from the tooth’s enamel, eating away into little holes, which is the first stage of cavities. Once the enamel is worn away, the bacteria and acid can continue to the dentin, which is connected to the nerve of the tooth, and even the inner tooth material, or the pulp, that contains nerves and blood vessels. As the cavity develops, its damage multiplies, causing greater pain and longer-term damage with each day it goes untreated, making it especially important to catch cavity symptoms as early as possible. As a general rule, pain is your body’s way of telling you that something is going right; however, a lot of times we push through and ignore them. In the case of your teeth, to leave these persistent pains unaddressed is to ignore the most obvious cavity symptom, which will only lead to more problems — and greater pain. To continue the emphasis on responding to pain, even if a toothache only occurs while chewing and doesn’t persist between meals, that is still a major cavity symptom to acknowledge and a sign that your teeth are in trouble. Usually felt in a sharp, sudden jolt, pain while chewing is usually an indication that the tooth has a crack in it or because the tooth has a cavity, according to Dr. Klein, and may signal that the nerve in the tooth is even infected. Thankfully, you don’t have to wait for your teeth to start hurting to catch a cavity symptom early. While cavities eventually appear as small holes in the enamel, some may begin by resembling stains on the surface of your tooth. Natural stains may blemish your smile from time to time, but black, brown, or white spots are usually the early signs of tooth decay. If these stains feel soft or sticky to the touch, they are a likely cavity symptom and may soon cause the rest of the tooth to darken and eventually chip the enamel, as Colgate’s health professionals explain. Sometimes the obvious signs are the most overlooked, as is the case with cavity symptoms. As cavities are holes that develop in the enamel from mouth bacteria’s breakdown of plaque into acid, the most obvious cavity symptom to spot would be visible in your teeth. Nonetheless, few people take the time to inspect their teeth, even while brushing or flossing, and therefore may not see the hole developing in the infected tooth. Always check your teeth for evident holes to catch the cavity symptom as soon as possible. As the Mayo Clinic notes, swelling may occur in the gums around the infected tooth as a cavity develops, especially if it has dug deep into the dentin or the pulp. Often, this swelling is barely perceptible to the eye and hardly painful to the touch, but a bit of discomfort may reveal that the gums are indeed swollen due to a cavity. According to the American Dental Association, one in four adults has an untreated cavity, and virtually every adult will experience tooth decay at some point in their lives. One of the most common cavity symptoms to watch is sensitivity to temperatures, such as hot foods or cold drinks, that may trigger sudden pain or discomfort in the affected tooth. Though a myriad of factors may cause bad breath, it may be more than a sign you’ve indulged in too much garlic during dinner — bad breath is one of the often overlooked cavity symptoms. As cavities are fundamentally small holes in the tooth, food particles and bacteria may easily sneak their way in there and be hard to evict with simple brushing techniques alone. 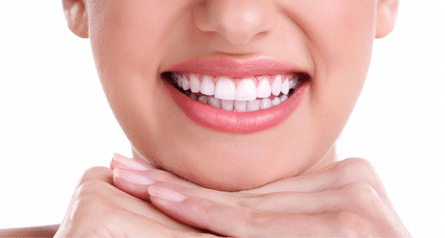 There is a range of treatments the professionals at Chicago Beautiful Smiles can provide to address your cavity symptoms, depending on the severity of the problem. Sometimes, periodic fluoride treatments may be necessary to battle ongoing cavity symptoms, as you may not be receiving enough fluoride through sources such as fluoridated drinking water. Additionally, the Mayo Clinic recognizes antibacterial treatments as especially helpful for those whose medical history may make their teeth more susceptible to tooth decay. If you’re experiencing more than one of these cavity symptoms, the best treatment will likely be a filling, which is when the decayed portion of the tooth is drilled away and replace with a strong filling of composite resins. Crowns and fillings may be required for more advanced cavities, but overall, fillings stop cavities from growing any larger. At Chicago Beautiful Smiles, your smile is our priority, which often begins with addressing that first cavity symptom as soon as you notice it. Chewing Gum Can Prevent Cavities – Chew Chew! 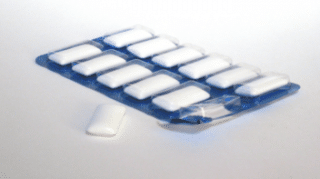 Could Some Chewing Gums Actually Prevent Cavities? For years it has long been believed and drilled (no pun intended) into our heads that gum chewing was bad for our teeth. Gum had been blamed for causing cavities, tooth decay and a myriad of other dental issues. Gum chewing can be, in fact, quite detrimental to dental care. Recent studies, however, have shed new light unto the effects of gum chewing. While it is true that gum usage can cause dental issues, not all types of gum are harmful. In fact, studies have shown that some types of gum can actually work to prevent cavities and tooth decay. What type of gum is that? Sugar-free. It is no secret that gum with added sugar can be one of the worse things for your teeth. The sugar contained in the gum dramatically increases your chances of developing cavities. This is not the case of sugar-free gum however, which actually helps in preventing tooth decay and cavities. If you are someone who balks at the idea of sugar-free gum, there is good news. Xylitol is a plant-based sweetener added to sugar-free gum that has not only makes the gum taste better, but it has many added benefits as well. Sugar-free gum is sweetened with xylitol, and will effectively prevent the growth of Streptococcus mutant, a bacterium responsible for causing cavities. Xylitol prevents the bacteria from clinging to the tooth, thus preventing the development of cavities. Chewing frequently reduces the bacteria present in the mouth, thus resulting in fewer harmful bacteria resulting in damaging the tooth surface. It is also responsible for repairing teeth through a process called remineralization. When this occurs, specific cells in the center of the tooth produce dentin, the part of tooth beneath the enamel. The enamel can then remineralize from the outer layer. Remineralization is a vital part of maintaining proper dental hygiene. Additionally, chewing sugarless helps produce saliva, which helps in washing away and cleaning out food particles and bacteria. The saliva which occurs due to gum chewing will help in neutralizing the acids and act as a barrier against cavities and tooth decay. Saliva also keeps plaque, a known cause of tooth decay, from sticking to the teeth. Although the inclination may be to brush your teeth after a meal, doing so is not recommended, as acids in food will break down the protective enamel. Instead, experts recommend chewing gum for about after each meal. Chewing sugarless gum is also effective in removing food particles embedded in teeth, which can cause plaque buildup. Keeping plaque away is a sure-fire way to keep your teeth from protected against tooth decay. Chewing gum can also help in reducing tooth sensitivity, a common issue affecting many Americans. Studies have shown that those who chew sugarless gum post teeth whitening procedures had significantly less tooth sensitivity than those had not. Chewing sugarless gums also useful in other ways as well. For example, it aids in digestion, which can help keep acid reflux under control. Studies have also shown that chewing sugarless gum actually can save you a great deal of money. A healthy mouth keeps the dentist at bay, which is good news for your checkbook. Additionally, chewing sugarless gum can help boost memory function. Many studies, in fact, have noted that chewing sugar free gum with xylitol is a just as effective as using fluoride- toothpaste and mouthwash. Now that something to smile about! According to the American Dental Association (ADA), the only approved gums that can help prevent tooth decay are those which are sugar-free. You will also want to be sure they have the ADA approved seal on the packaging. Not all sugar-free gums approved by the ADA. For example, there is gum which is also sugar-free, but contains a different sugar substitute, known as sorbitol. Sorbitol does not have the same protective effect that xylitol has. What is a good way to see if your sugar-free gum has xylitol? By reading the label, of course. If listed as a first ingredient, then chew away! 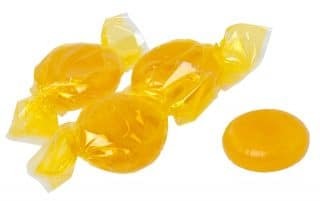 Additionally, to reap the benefits of this sweetener, most experts recommended chewing a minimum two or three pieces after each meal. It should also be noted that in no way should gum chewing be a used a replacement for tooth brushing, which is a necessity for excellent hygiene. Chewing gum after meals or in tandem with brushing and flossing is what many experts recommend. The best time to chew gum? Studies from the ADA concluded twenty minutes after every meal is sufficient. There are a few things to consider before you begin running to the nearest drugstore and stocking up on your favorite sugar-free gum. For example, the constant chewing motion can cause strain and tiredness in your jaw muscles. No different than other muscles, when they are overused it can cause soreness. Additionally, chewing gum for an extended length of time has been known to cause headaches as well as neck pain. There is no concrete evidence that gum chewing is a culprit of TMJ disorders, however, it is understood that it will not ease the discomfort of TMJ symptoms. Although the stickiness of sugar-free gum can prove to be useful, such as its ability to remove food particles and bacteria present in teeth, it also has its disadvantages. If you have dental hardware such as crowns or fillings, chewing gum may loosen them and cause them to even fall out. Although highly unlikely, it is still important to take into consideration. Additionally, recommendations vary on how old one should be when choosing sugar-free gum. The consensus is that children should not chew gum until they have learned not to swallow it. There are positives and negatives to children chewing gum as well. On the one hand, we have seen how effective gum chewing can be in helpful in maintaining healthy hygiene. Preventive measures are usually the most effective, so there is a strong argument for starting patients young. The earlier children practice proper tooth care, the fewer problems in the future there will be. However, it is important that the sugarless gum has the ADA seal, as chewing gum with added sugar is especially detrimental to children’s teeth. Chewing gum with xylitol is most effective when it is chewed right before a child’s adult teeth come in, which is roughly between the ages of 5 and 6. Knowing how effective chewing sugarless gum can be cause for celebration. However, nothing can take the place of consistent brushing and flossing. We know only too well how bad teeth grinding can be and if you currently suffer from this nightmare of a problem, we sympathize with you. However, the great news is that just by clicking and reading this article you are already closer to discovering some of the best ways to stop the discomfort and pain caused by grinding your teeth. Teeth grinding, or nocturnal bruxism as it is also known, is a condition where you unintentionally and in a lot of cases, unconsciously grind your teeth together. It affects well in excess of a million adults and children across the world and if you suffer from this condition, you will understand just how badly it can play havoc with your life and health. In the following article, you will get to know some really powerful and helpful tips and advice to stop you grinding your teeth. Before we bite into those though, it is best to help you understand better why you actually grind your teeth. What Causes Teeth Grinding – Particularly At Night? Night-time/Asleep bruxism: Night-time bruxism on the other hand is more likely connected to a chewing action related to sleep. Although there is a wide array of different views and opinions in the medical world as to what causes teeth grinding, most suggest that it is mainly associated with anxiety and stress. Further to this though, teeth grinding has also been associated with sleeping position or style changes, problems with teeth alignment, heredity-related factors and other problems with biting. As well as causing the obvious issues such as the filing down of your teeth, muscular tension in your jaw, tooth sensitivity and toothache; teeth grinding can also be responsible for causing excruciatingly painful migraines and headaches. While you are grinding your teeth, your jaw is unlikely to be positioned correctly, which will make the muscles in your jaw suffer fatigue and become more susceptible to it. As your jaw muscles use a lot of energy and strength moving your jaw, when fatigue sets in muscle contraction could occur which leads to the migraines and headaches noted above. If you grind or clench your teeth though, you are also putting yourself in danger of suffering from stiff neck muscles. This itself can trigger headaches and lead to feelings of anxiety and stress. Speak to a sleep disorder specialist – Arrange an appointment, or ask your general practitioner for a referral to a sleep disorder specialist so you can find out if you have sleep apnea or not and to what extent. Once you know for sure that you do suffer from sleep apnea and it is likely to be the cause of your teeth grinding, you need to make an appointment with your dentist. Get treatment from a qualified dentist – If you want to stop suffering the painful effects of jaw clenching and teeth grinding, you need to have professional treatment from a qualified dental practitioner. It can be very helpful, because not only can you find out the best oral appliances to use such as splints and mouth guards, that can help you stop your night-time teeth grinding, you will also get great tips and advice for oral health care. Mouth guards are devices used in orthodontics that you attach to your teeth before you go to sleep at night and prevent you from grinding your teeth unconsciously. They also help to alleviate a lot of the discomfort and pain that comes from excessive clenching, tension and friction. As noted earlier, it is not only sleep disorders that are considered a cause for teeth grinding; anxiety and stress are two other factors that are also thought to be responsible. 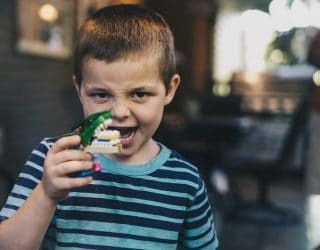 The following are DIY home remedies and techniques that can help children and adults alike to stop grinding their teeth. If you discover that stress and anxiety are the main reasons why you grind your teeth, you should look for ways to manage your stress levels. Ask your medical practitioner or even your dentist for any advice they can give. It is also a good idea to participate in physical therapy sessions and exercise groups that can help alleviate stress or at least manage it better. Massage and stretching can be used to relax your muscles, releasing a lot of the tension from your body and reducing your stress. You could also arrange to have some one on one anxiety and stress counseling. Often, your stress builds up because you feel dragged down by various pressures and responsibilities in life. Talking with someone impartial, who is not a friend or relative with a vested interest in your life, can help you to make sense of your anxiety. It may help to make it a habit of relaxing your muscles at night before you go to sleep. You can do this by placing a warmed piece of cloth on the side of your face. This particular method is more effective with people who grind their teeth as a result of an acute situation, such as a broken or otherwise injured jaw. Meditation and stretching exercises of yoga are other ways that people often use to reduce their stress and anxiety levels. They are actually very effective when it comes to tackling teeth grinding issues. This is because not only do they lessen tension throughout the body but they also reduce muscle activity too. To stop grinding your teeth, you need to put considerable amounts of personal effort into the process. You have to teach yourself to stop doing it – in a similar way to how muscle memory training works. Always try to make sure that the tip of your tongue sits between your teeth, as this will enable the muscles in your jaw to relax. It is also important to stop or at least reduce habits that involve you clenching your jaw, such as chewing gum. 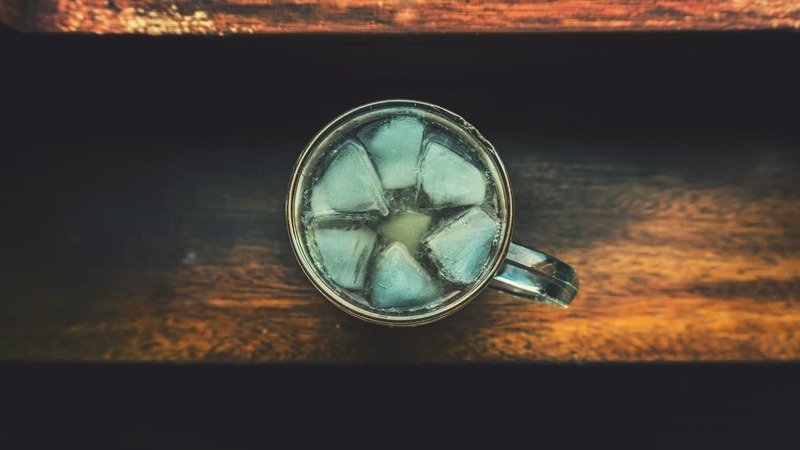 As strange as it may seem at first, there are many who believe that there is a connection between consuming caffeinated and alcoholic drinks and teeth grinding. There is evidence that shows that teeth grinding and clenching becomes more intense after these kinds of drinks have been consumed. While it is true that caffeine does not cause teeth grinding directly, it certainly is a contributory factor that makes it worse. This is mainly because caffeine increases your awareness and alertness levels. Thus, if you are experiencing bouts of stress and anxiety already and drinking large quantities of caffeine, coffee and other drinks like it, will only heighten those feelings, leading to teeth grinding. Attending a dental checkup is not top of many people’s list of favorite activities, and for some it can feel quite intimidating. It can help you feel more relaxed if you remember that your dentist is a skilled professional who has trained and studied for many years in order to not only treat you when things have gone wrong, but to help you maintain your teeth in the best possible health. Before your appointment, prepare in your mind some questions to put to your dentist before or after the examination. Talking during the examination is usually rather difficult. I have heard that sugary drinks like Coke are very bad for children’s teeth. Would you also advise that adults avoid them? If so what is the best alternative? Why do some of my teeth give me pain when I eat ice cream or drink a hot beverage? Is there anything I can do to reduce the discomfort as I really don’t want to give up ice cream? I have noticed my teeth look rather stained and brown. What causes this and how can I prevent it from happening? What do you recommend as the best way to make my teeth look whiter? There are a lot of treatments I’ve seen advertized which make the teeth look dazzling white, but are these safe? What are the best foods to include in my diet which will help keep my teeth healthy? I am worried about bad breath. Is using a mouthwash a good idea? I see that fluoride is an ingredient in toothpaste. What is it for and is it safe to swallow it? There are many new products around nowadays to help you maintain good oral hygiene which is the key to preventing tooth decay. When a tooth decays it starts to break down causing a cavity and can eventually die. But it is never too late to start looking after your teeth. It is particularly important when you’ve had a treatment such as a root canal filling, crown or extraction to start immediately on a good routine of keeping this area as clean as the rest of your teeth. Good hygiene will help prevent infection in the treated areas. Ask your dentist for clarification if you’re unsure how soon you should resume your normal routine. Most dentists advise using an electric toothbrush with a fluoride toothpaste. 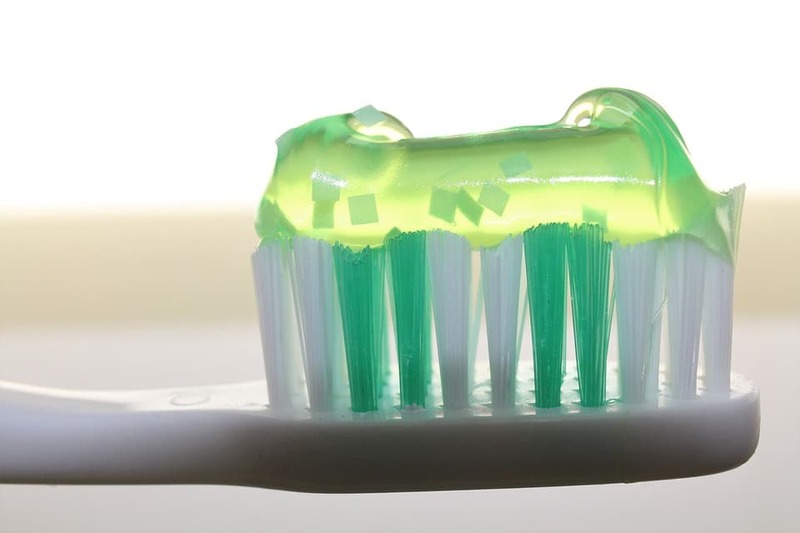 The fluoride is present in very small quantities in toothpaste and it helps to strengthen tooth enamel. If you are unsure about this or prefer to use an ordinary toothbrush ask your dentist for their advice on the best way to go about it. For instance he or she will probably suggest techniques for brushing and replacing the manual brush regularly. Modern oral hygiene should also include cleaning between the teeth as well as brushing. There are a number of ways this can be done. One way is to use tiny interdental disposable brushes. It is likely your dentist will have some of these in the surgery and will be happy to show you how to use them – just ask. Unfortunately most of us don’t go to the dentist when everything is fine with our teeth. Usually it is because something is wrong and probably painful. If your dentist recommends a particular treatment you can ask them to explain exactly why you need it and what it entails. Trust between the patient and dentist is important to make the experience as stress-free as possible, so you should feel free to have things explained to you clearly. To keep your teeth in tip top condition the American Dental Association recommends that you have a check up twice a year. This is also an opportunity to have your teeth cleaned by a professional hygienist who has a number of tools at her/his disposal to thoroughly clean and polish your teeth. This is usually a refreshing rather than a painful process. But ask your dentist if they recommend this, as in some cases less or more often may be advisable. For many people going to the dentist is something they dread or put off for too long. If you go regularly, not only will you give your dentist the chance to catch problems early on, but you can also get to know him or her which makes it easier to relax. Regular visits to the dentist can also have a beneficial effect on your general wellbeing. Studies have shown that poor dental health is connected to a number of other conditions, including some kinds of heart disease. A dentist can also recommend what medication you should take for any pain. 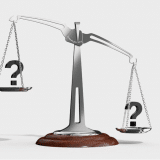 It is important that your dentist asks you some questions of their own before treating you. These should include questions about your general health, any medication you’re taking and also ladies, if you’re pregnant. This is particularly important if any X-rays are going to be taken, as X rays can be harmful to an unborn child and a special apron should be used to protect your abdomen during the X-ray. We know smoking is bad for our general health, but it’s important to realize how much smoking can also damage your teeth and gums. Smoking dries out your mouth, inhibiting the production of saliva, which makes it more likely to produce potentially harmful bacteria. According to the American Dental Association, smoking is one of the main causes of periodontal diseases which causes gums to become inflamed, which can lead to tooth decay and even tooth loss. Your overall health will likely impact the health of your teeth, mouth and gums, so it is important to discuss any concerns you may have in this regard. For example, anyone who is diabetic may have dental problems. If your immune system is compromized you are more likely to succumb to bacterial infections. Gingivitis is an inflammation of the gums, caused by a bacterial infection. A serious case can lead to the gum receding and it is a leading cause of tooth loss in adults. If you are worried about this you should ask your dentist to advise you. If you have children The American Academy of Pediatric Dentistry recommends taking them to the dentist while they are young – around the age of 1 when they get their first milk teeth. Studies show children can develop their first cavities by the age of two. This helps your dentist catch potential problems that can affect the child’s overall health and well-being as more teeth erupt over time. This also has the benefit of allowing young children to get used to going to the dentist without associating it with being a distressing experience. You can also ask your dentist for advice on the best way to care for your child’s teeth and encourage them to brush for themselves. Stickers and other rewards are all part of the service. Overall, there are lots of things you can do to improve your dental health, and it’s important to treat your dentist as a service provider who is there to help and advise you. Medical science is always evolving, and there are always new products and methods of performing dental hygiene to explore. Keep your teeth and your children’s teeth at their best, go for regular checkups and if you want to know – just ask! Millions of people in the US alone suffer from dental sensitivity and toothaches, making them some of the most commonly addressed issues by dentists. Which means you’re not alone when you take a sip of your beloved iced dark roast with almond milk and two sugars and the cold drink jabs you with a pang of pain. Nor are you alone when you wake up in the morning and it feels like a tiny construction crew has been jackhammering away at one of your teeth during the night. To begin, let us briefly dive into a dizzying discourse on oral biology: Dental sensitivity is caused by the movement of fluid within the tiny tubes located in the exposed dentin (dentin is the porous layer of tissue found inside of the hard exterior enamel of our teeth.). As a result of this exposure, which isn’t good of course, the nerves within become irritated and, subsequently, you feel pain after biting into your ice cream sandwich. So, let’s break that down. Your teeth are covered by enamel, the hardened outer layer of your teeth that acts as a protectant against plaque and acids. When your enamel has become compromised, or your gums recede (either creates exposure), the dentin and the tiny tube surfaces beneath are exposed, meaning that everything from cold temperatures outside to the hotness and coldness of the foods you eat now has the power to cause pain. Which means that it’s highly important to prevent enamel from eroding (enamel is one of the rare things that our body does not make more of: what you have is what you’ve got for life). Great dental hygiene is your best weapon in keeping your enamel safe—brushing, flossing, and using mouthwash with fluoride. But what other factors work against our teeth and promote a toothache? Acidic foods – Highly acidic foods wear away at our enamel, which includes citrus fruits, tea, coffee, and soda. Harmful Toothpaste – Your toothpaste could be waging war in your mouth. Heavy chemicals and tooth-whitening formulas can sometimes do damage under the guise of being beneficial. 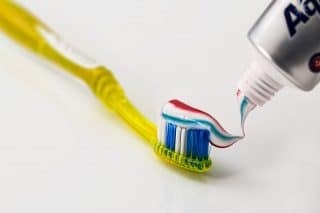 Fluoride and certain brands of toothpaste can aid in strengthening enamel only if the enamel is not already too damaged. Clenching or grinding teeth – I had a habit of grinding my teeth years ago. A new dentist I visited took one look at my mouth and knew immediately what I had been up to. Teeth grinding also contributes to sensitivity and can be tied to our mental state of mind (perhaps we’re stressed, angry, etc.). Had a terrible meeting at work today? You may manifest that stress in grinding your teeth while you’re sleeping. Experts suggest working out those issues beforehand, and, if all else fails, throw in a mouthguard. Overbrushing or excessive brushing – Toss out any hard bristle toothbrushes you’ve been using and opt for a softer brush. Hard toothbrushes will give you the clean you need, but they can also wear down enamel and contribute to furthering your sensitivity issues. Remember that you should only be brushing two times a day, three if you’ve eaten something less than ideal. Powerful mouthwash – Mouthwashes can contain a plethora of harsh chemicals that are both hard to pronounce and hard on your teeth. In any event, look for milder brands what won’t make your teeth more sensitive. 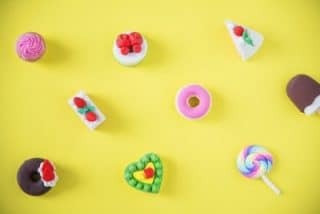 Damaging foods – Gnawing on ice or hard candy will strip away precious enamel, especially the pieces that have been sitting in your grandmother’s candy dish for 30 years. Yea, don’t eat those. Damage – Cavities, tooth decay, and broken teeth are all causes of teeth sensitivity. Of course, these ailments leave the inner layers of our teeth exposed and will require professional assessment. To reverse your tooth sensitivity, as mentioned, look for toothpaste and mouthwash that is specifically formulated to repair enamel. Maintain a good dental regimen of flossing, twice-daily brushing, and rinsing with mouthwash. Combined, along with avoiding the factors above, these items will help reduce your sensitivity issues. Lastly, remember that hot/cold tooth sensitivity can be tied to a more complex dental problem, which can include gum disease, plaque, or previous dental work displaying side effects. With that many potential causes, it’s hard to pinpoint what exactly is causing your dental sensitivity, which means a dentist will be your best bet. As we transition our discussion from dental sensitivity to just outright “I can’t stand this; I feel like I’m dying!” toothache pain, we move our dental focus from the exposed dentin to the pulp beneath. The pulp is where all of the nerve endings in your tooth reside, and these very sensitive nerves can make things quite unbearable, as you probably already know. Feeling bewildered? That’s completely understandable, especially being that that list only represents a portion of the potential causes. What’s important is to monitor is how the pain arrives, how long it stays, how frequently it occurs, and how that pain responds to medicine. If you’re sick and are running a fever and experience a toothache, does it remain after the sickness has passed? Does your toothache persist while no other observable issues are apparent? It may be time to book an appointment with a dentist. The two of you may have to play Sherlock to get to the root of the problem, which could even send you to a regular doctor to discover if the pain in your teeth is but a byproduct of something else. Monitor your toothache and dental sensitivity issues so you can provide as much information as possible to your dentist. For instance, when dealing with teeth sensitivity, the pain should be relatively brief, only lasting for a few seconds. If not, take note. Have you noticed any discharge or bleeding from your gums and or teeth? What about while chewing, is there pain? Have you noticed any swelling? How have you responded to over-the-counter medication such as aspirin, ibuprofen, or Orajel? The better a picture you’re able to paint, they better your dental professional will be at accurately pinpointing the issue from the myriad of potential options. Dealing with teeth sensitivity and a toothache certainly isn’t fun and can quickly become problems that are impossible to ignore. 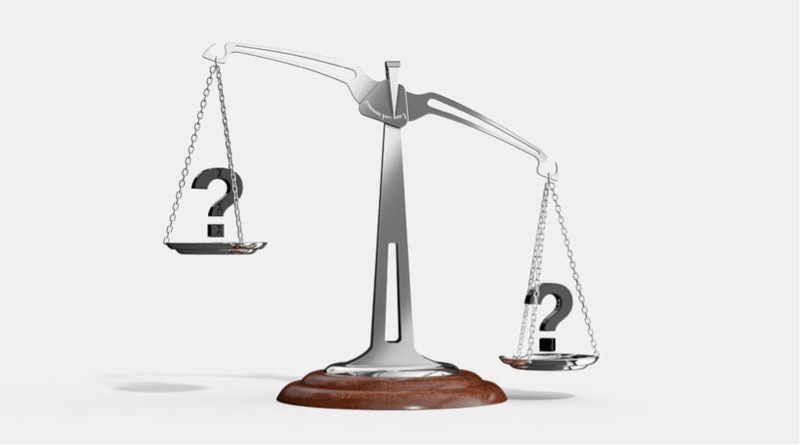 You’ve learned about some of the causes of these issues, and now you can formulate a game plan to help target what your cause may be. If you do conclude, either through pain or persistence, that the problem is beyond your ability, it’s time to call the team at Beautiful Smiles Dental Center. We’re trusted experts with experience in getting to the core of teeth sensitivity and toothaches. We would love to help get you back to your regular pain-free self as quickly as possible. Routine Dental Exams Should Be A Part of Your New Year's Resolutions - Here is Why!